Ralph Waldo Emerson wrote Concord Hymn for the dedication of the Obelisk battle monument in Concord, Massachusetts in 1836. The Obelisk celebrates the lives of the men who gave their lives at the Battles of Lexington and Concord at the outbreak of the American Revolutionary War. Emerson's grandfather fought in the battle and the Old North Bridge, which the song refers to sits next to the old Emerson family mansion, known as the Old Manse. Emerson wrote the song while staying there. The song made it's way into the popular American conscience and it's phrase "the shot heard round the world," is often used when referring to the beginning of the American Revolution. 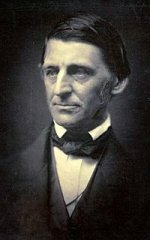 Note: Ralph Waldo Emerson was the grandson of Concord's Rev. William Emerson.